Beirut: Syrian President Bashar Al-Assad said he had yet to see 'anything concrete' from US President Donald Trump over his vow to defeat ISIS and called US forces in Syria 'invaders' because they were there without government permission. Assad, in an interview with Chinese TV station Phoenix, said 'in theory' he still saw scope for cooperation with Trump though practically nothing had happened in this regard. Assad dismissed the US-backed military campaign against ISIS in Syria as 'only a few raids' he said had been conducted locally. 'We have hopes that this administration ... is going to implement what we have heard,' he added. 'We don't think this is going to help'. The US-led coalition has been attacking ISIS in Syria for more than two years. It is currently backing a campaign by Syrian militia allies to encircle and ultimately capture Raqqa, ISIS's base of operations in Syria. 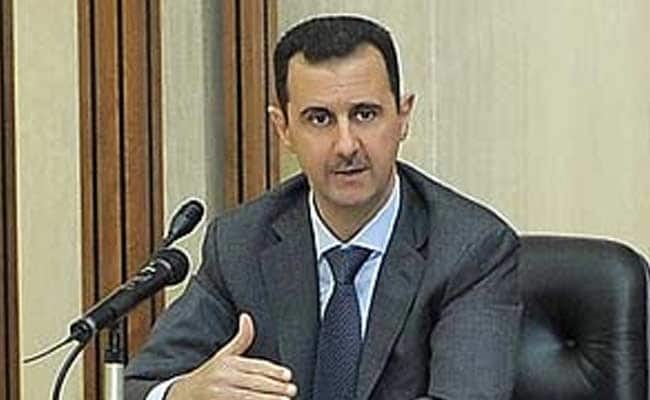 Assad noted that the Russian-backed Syrian army was now 'very close' to Raqqa city after advancing to the western banks of the Euphrates River. He said Raqqa was 'a priority for us', but indicated that there could also be a parallel attack by the army towards Deir al-Zor in the east, near the Iraqi border. Deir al-Zor province is almost completely in the control of IS, also known as ISIS. The Deir Al-Zor region had been 'used by ISIS as a route for logistics support between ISIS in Iraq and ISIS in Syria, so whether you attack the stronghold or you attack the route that ISIS uses, it (has) the same result', Assad said.